Guidelines, notices, announcements, stickies, etc. Please read before posting and check for any updates. Thank you. READ ONLY. A place to discuss the guess the date and guess the camera competitions, and add your entries. Weekly photography related poll. REPLY ONLY! A place to discuss AP News stories. REPLY ONLY! A place to discuss the Amateur Photographer Of the Year competition. Get help for ideas, picking pictures and chat about the winners. REPLY ONLY! General photographic queries? Many of our forum members are able to offer advice. 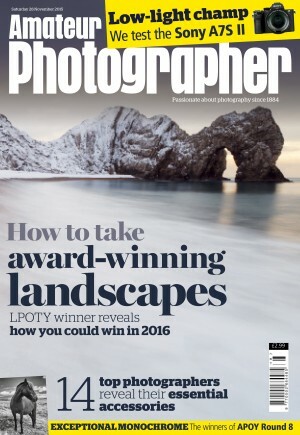 Constructive suggestions, comments, feedback, and queries regarding Amateur Photographer magazine. Tell other members about forthcoming events and photo opportunities. Alternatively, or additionally, post on the Events Calendar. Paid-for events may be removed without notice. A place to point other forum members to photographically interesting web sites you've come across. Let other AP forum community members know of Photogenic Locations, whether local to you or worldwide. New to the forum? Come on in and say "Hello!" For discussions on, about, and referencing photography; the art of, the proponents of, the love of photographs - not kit, nor technology, but technique, styles, genres, historical and contemporary. The last word in intelligent, erudite and eclectic conversation - well, almost! Post images (not links) for appraisal. Be prepared for comment, critique, and re-visioning of images. How many images to post? Less is more. Please read the 'Sticky' at the head of the forum prior to posting. Post images for content-related discussion - NOT technical/artistic critique. Please read the Sticky at the head of the forum prior to posting. This is the place for all 'game' threads, long running 'status' threads, etc. A place for community contributors to point others to their personal online portfolios. This is NOT the place for image appraisal/critique. The AP Forum's 1st of the month picture project. A 'straight-out-the-camera' archive of the day. Project closed - read only. All about camera equipment, accessories, kit, gear, trinkets and gadgets. Post your reviews of kit you've used - current and historical. Please read forum sticky before posting. A place for users of Canon gear to chat. A place to discuss everything 'Leica'. Nikon users can discuss their gear here. Olympus users can discuss their gear here. The place to talk about all camera related Panasonic gear. A place for Pentax users to discuss all things Pentax. The place to discuss Sony gear. Incorporating Konica Minolta. A place to discuss the intricacies of the ancient and the new. Incorporating Contax & Kyocera. Discussions about other brands; Casio, Samsung, HP, Kodak, etc. Incorporating 'Branded Cameras'. New to photography or just need to ask the basics? Then fire away! Incorporating 'Digital Capture', 'Digital Darkroom', and 'Scanning & Printing'. Incorporating 'Traditional Capture', 'Traditional Darkroom', and 'Medium & Large Format'.